The ERCD can easily accommodate a wide variety of flow rates and mud weights, without hindering cement transfer through the tool. Designed for single use, the tool can be easily scaled for any casing size and flow rates. Hover over the bullet points on the product image to display information. 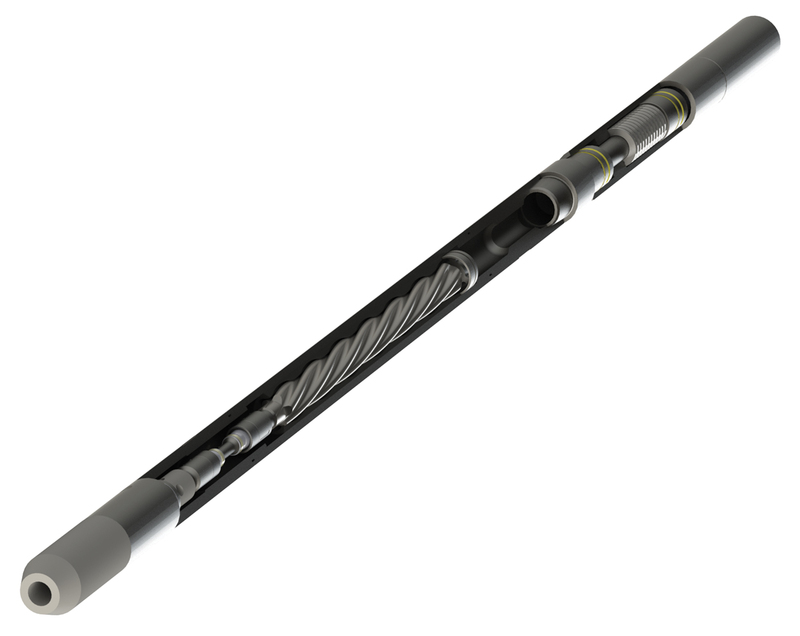 The dependable ERCD improves casing installation, ensuring the completion of wells to target depth. Situated directly above the casing shoe, the ERCD creates an axial vibration and uses surplus stacked weight to reduce the excess drag of the casing string and allow it to slide eﬀectively. As an added beneﬁt, the liquefaction of cement, assisted by the vibration of the “ERCD”, ensures drilling ﬂuid is displaced eﬀectively, resulting in a more reliable cement job and reduced ﬂuid channeling.